26 of April - HCI researchers gathered for the first workshop on designing for human autonomy at the Computer Human Interaction Conference CHI2014 in Toronto. We learned our first lesson long before the workshop began: many submissions focused on design for computer autonomy rather than human autonomy, evidence of a persistent focus on computer agency, but also a sign of the ambiguity and lack of shared understanding around the term autonomy which is what spawned the workshop in the first place. We had the perfect number of participants and enough time to cover many perspectives and still have in-depth discussion. The projects described by the participants covered the four spheres of human autonomy that can be supported by technology (at right). After discussion, we grouped the projects presented into each sphere. Software Environment: Design that supports the user in feeling a sense of freedom and control within a software environment. The work on games by Daniel Johnson and Alexander Baldwin fell into this category. Putourself in Picture+Calendar fit into this area. Daily Activity: This category includes technologies that give people greater autonomy outside a software environment in their daily life, and a great example was RehabMaster by Kyoungwon Seo and Hokyoung Ryu. 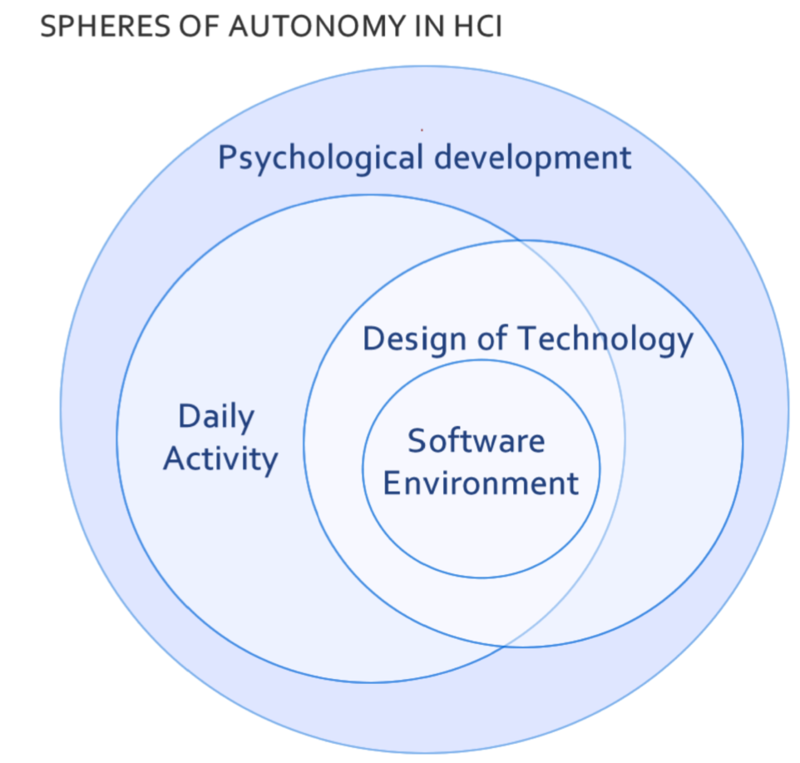 Psychological Development: This category includes technologies that aim to foster human autonomy as an overarching characteristic of psychological development and flourishing. This was manifest in the TransitionMate project by Yu Zhao, Abelardo Pardo, me (Rafael A. Calvo), Emily Klineberg, Mary Lam and Kate Steinbeck which aims to foster the development of personal autonomy in adolescents with chronic illness. 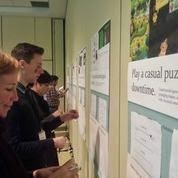 View the proposal paper and all workshop papers at the workshop home page.